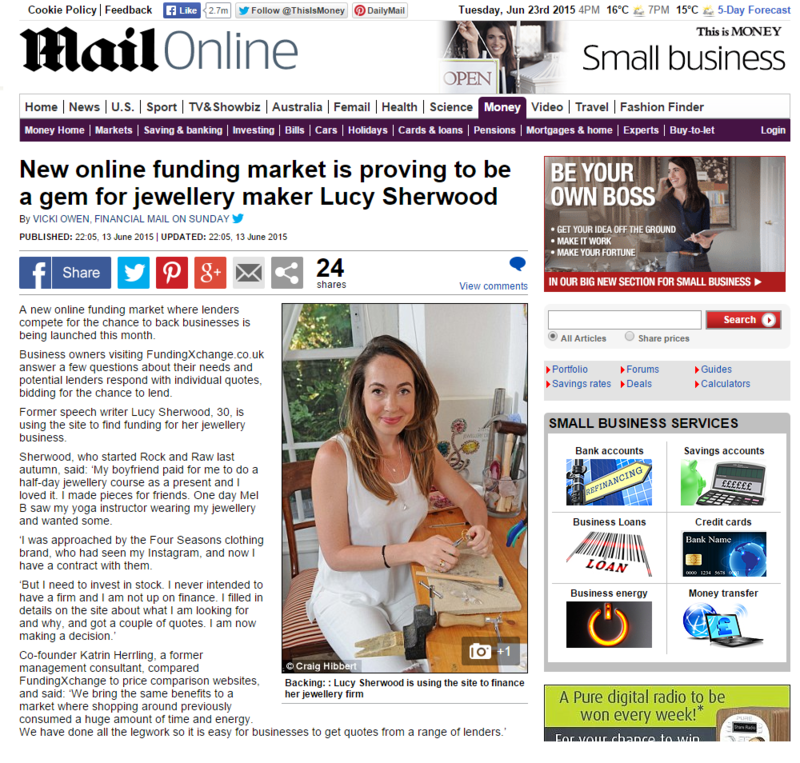 When Funding Xchange launched we were featured in 'This is Money', the Daily Mail's Finance section focusing on small businesses and entrepreneurs. In the article, you can see CEO and Co-Founder Katrin talk about how Funding Xchange can help SMEs across the UK. We also had one of our fantastic customers, Lucy Sherwood, talk about how Funding Xchange helped fund her up and coming jewellery business. You can click here to see the online article or see below to see it in print.